Heart Rate: What Is Normal? 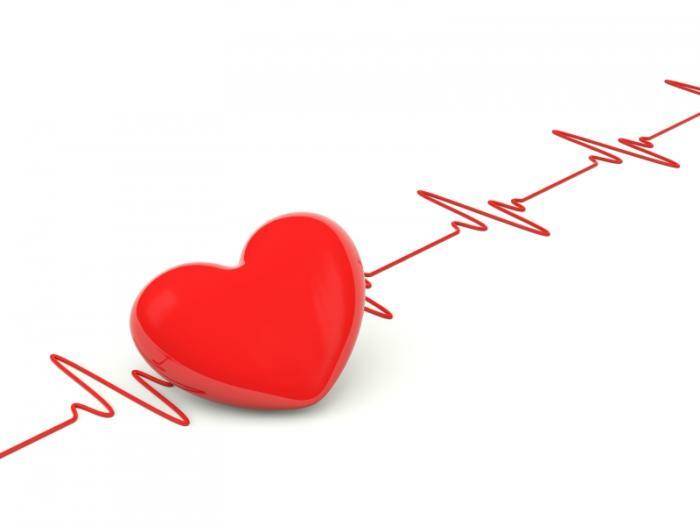 A normal heart rate at rest is approximately 60 to 100 beats per minute. However, your overall physical condition and medical background can affect it. Heart rate refers to the number of time your heart beats in a given period of time, usually in one minute. Heart rate is also the same as your pulse. What constitutes a normal range of heart rate differs for each person, depending on their physical condition and overall health. Therefore, your heart rate can be used as a way to measure how healthy your heart is. It can also be used to monitor your fitness level. When the human body is at rest, the heart is pumping the least amount of blood needed to sustain the body’s cells and systems. However, when the body becomes active, the heart beats faster to move more blood through the body. What constitutes a normal pulse or heart rate depends on the individual. For example, an adult’s resting heart or pulse rate will be lower than a child’s, all else being equal. However, for most adults at rest, a normal resting heart rate will be between 60 to 100 beats per minute. The more in-shape you are, the lower the resting heart rate usually is, due to a more efficient heart and cardiovascular system. But what is a normal heart rate when engaged in activity? What is a normal maximum heart rate? One way to estimate your maximum heart rate is to subtract your age from 220. Remember, these are just generalizations and average estimates. For example, if your pulse rate is below 60, that doesn’t mean there is a medical issue. It could be the result of taking a medication such as a beta blocker, or the fact that you are in great cardiovascular shape. But how do you know when the apparently abnormal heart rate is okay or when a call to the doctor is warranted? A call to the doctor may be necessary if the pulse rate is very low or if you have frequent rapid heart rates that cause feelings of dizziness or faintness. Depending on your medical condition, these may be signs of an emergency or may be signs that a new heart medication is needed, such as when you are on beta blockers. The heart rate can be measured in several places, such as the side of your neck, wrists, inside of your elbow, or the top of your foot. Place your two fingers (do not use your thumb) over one of these areas and count the pulses for 60 seconds. This will give the heart or pulse rate in beats per minute. You can also buy an electronic pulse meter to check your pulse on your finger, wrist or chest, depending on the device. Some of these devices are designed for use while exercising. Below is a list of several ways you can improve your heart health, no matter you are in normal heart rate or not. Do at least 30 minutes of moderate exercise five days a week. The intensity of the exercise should be enough to increase your heart rate with a moderate amount, such as a brisk walk. Choose lower fat milk, leaner cuts of meat, and grill or steam foods instead of frying them. Diets high in sodium increases your blood pressure. This, in turn, puts most strain one the heart. A good way to reduce salt intake is to avoid processed foods. Smoking is one of the leading causes of heart attacks. Within one year of giving up smoking, your heart attack risk falls about 50%. Alcohol can be a quick way to gain weight. For example, consuming several drinks a day can add on five pounds over one month. It’s also bad for your heart. Being overweight can increase your risk of heart disease. Eating 5 servings of fruits and vegetables every day will give you the vitamins and minerals to help maintain a healthy heart. Eating oily fish, such as tuna and salmon, several days a week provides a great source of omega-3 fats, which help reduce your chance of getting heart disease. Stress makes your heart work harder due to prolonged states of heightened excitement; this puts strain on your heart that increases the risk of a heart attack or other heart ailments. Heavy breathing usually occurs after an intense workout, but sometimes this condition can also be a symptoms of a medical concern. Why Does Your Heart Rate Increase When Sick? What's an Electrocardiogram (EKG) Test? Chest Pain Comes and Goes, Why?